Are Supersonic Jets Making a Commercial Comeback? High speeds may be coming back fast. What does it mean for commercial pilots? Some of you may remember when Concorde was a really big deal - a supersonic aircraft capable of exceeding Mach 1.5. And as you can probably imagine, traveling at this speed fetched quite a high price on the market. A round-trip ticket from New York to London was almost $8,000. In 1997. These days, that same ticket would easily exceed $12,000 after taking inflation into consideration. The allure of this hefty price tag and the potential for profit has gained the attention of Spike Aerospace Inc. And they are not alone. NASA, Aerion, and other U.S. based companies are hoping to revive supersonic flights. Spike Aerospace Inc. is openly optimistic about the future of supersonic jets. The president of the company has even announced a few orders have been placed for their jets. Let’s take an in-depth look at this company, its new jet, and what this means for commercial pilots. Based out of Boston, Massachusetts, Spike Aerospace Inc. aims to be a global manufacturer for supersonic jets. To achieve this, they are equipping their jets with classy features, such as high-definition screen walls and customizable cabins. And apparently, they have worked out how to minimize the notorious sonic boom experienced at take-off. The ambitious company is still working on engine modifications, though. Nevertheless, Spike has revealed their demand estimations. 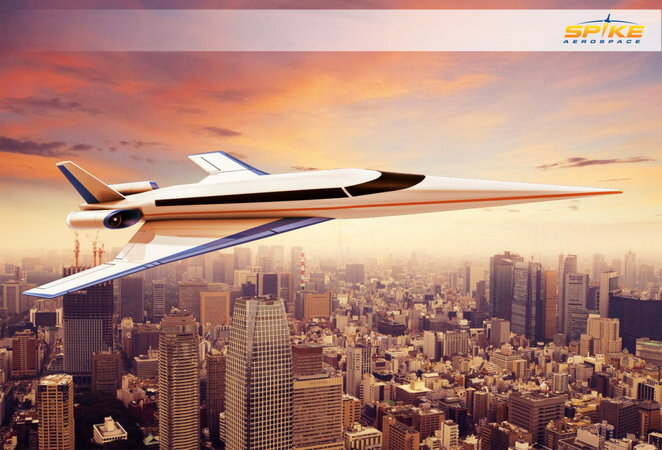 By 2035, Spike Aerospace Inc. believes roughly 850 supersonic jets will be needed. These jets will be for the commercial airline industry. Which means big bucks for pilots able to handle the extreme speed. To fully appreciate the capabilities of the S-512, compare the jet’s specs to a traditional plane. Most commercial airlines are unable to reach Mach 1. Due to this limitation, a flight from New York to London typically takes about 7 hours. In a Spike S-512 Supersonic Jet, that same flight will take closer to 3 hours. For pilots, here is where the extra cash will be very noticeable. Since flights are completed so quickly, this leaves plenty of wiggle room in regards to scheduling. Imagine being able to complete multiple flights in one day and being able to sleep in your own bed that night. Spike Aerospace Inc. is aiming to start test flights within the next two years. If everything goes as planned, we can anticipate seeing the Spike S-512 Supersonic Jet at airports by 2025. When this highly anticipated moment arrives, commercial pilots capable of taking on the supersonic speeds will be able to fly 18 passengers at a time.